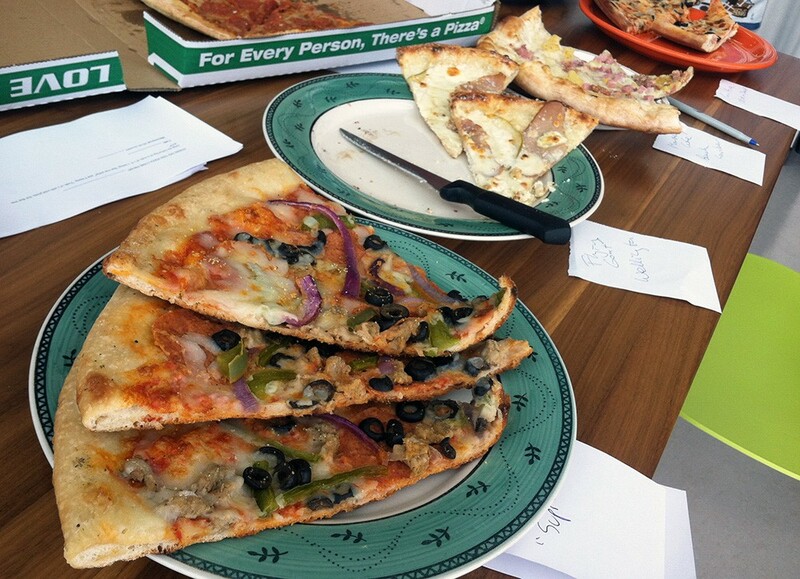 A scene from our pizza taste test, in which we tried various types cold and reheated. This week we wrote about testing various types of cold pizza — but before we printed the results, we asked our readers on Facebook how you prefer your cold pizza: straight from the refrigerator or warmed up? 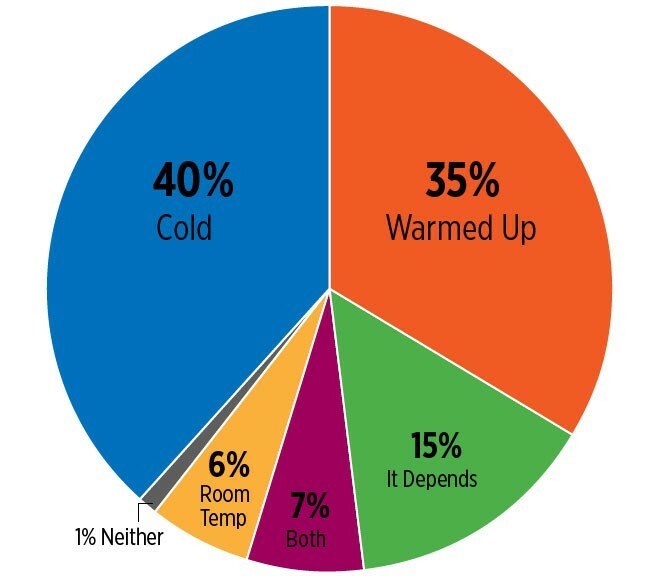 Those who said cold didn’t elaborate much, but those who like their leftover pizza warmed up often included detailed instructions about how to warm said pizza. Of those who mentioned a specific heating method, oven was most popular, followed by toaster oven. Skillet also got a few mentions. While many people said it depended on the toppings, there was no consensus about which toppings are better cold and which are better warmed. The “both” category includes a few easygoing people who were enthusiastic about leftover pizza of any kind, and also includes a few people who suggested possibly the best answer: one slice cold while the other slice is warming up.